The Celebrate San Diego Rally is all set for Feb. 11 at, and all major sports and athletics are set to make their appearances. 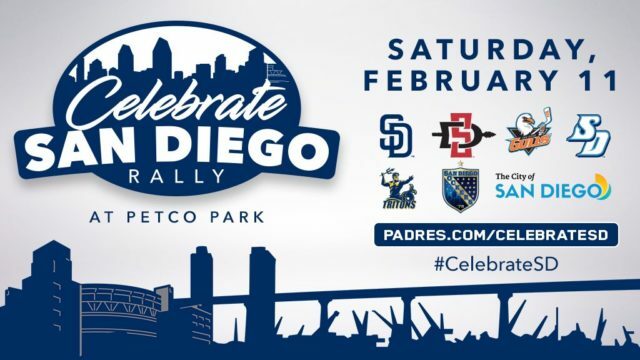 The Padres, Gulls, Aztecs, Tritons, Toreros and Sockers are all confirmed taking part in the rally, which takes place downtown at Petco Park. The Rally is quite literally a celebration of all that makes America’s Finest City what it is, and also includes numerous elected officials and community leaders. Scheduled to appear are Padres hall of farmers Trevor Hoffman and Randy Jones, while current manager Andy Green will also be appearing alongside other former Chargers.